Pereira v. Sessions: New Supreme Court Case Rules Notice to Appear Without Date/Time are Invalid. On June 21, 2018, the Supreme Court decided a case that advances the due process rights of immigrants living in the United States. The Petitioner, a Brazilian national, entered the United States in 2000. In 2006, the Department of Homeland Security issued him a notice to appear (NTA) that charged him for being in the country illegally. The NTA did not state the date or the time of the upcoming court hearing, but said this information was “tbd” (to be determined). 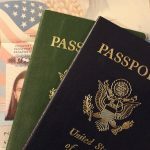 In 2013 the Petitioner applied for cancellation of removal, a form of relief available to noncitizens who have resided in the United States continuously for the past 10 years. Typically, the “stop time rule” stops the accrual of continuous presence when the noncitizen is issued an NTA. Under this rule, the Petitioner would not be eligible for cancellation of removal because he had not accrued 10 years of continuous presence since he was issued his NTA in 2006. Whether you are currently in removal proceedings or were previously ordered removed, this change in the rules regarding any Notice to Appear could greatly impact your ability to apply for relief from deportation. Contact Eldridge, Nachtman & Crandell, LLC to discuss your case with a Adam Crandell, your immigration attorney, to determine whether this change in the law impacts your case.